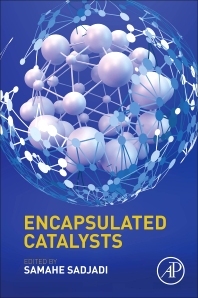 Encapsulated Catalysts provides valuable information for chemists, chemical engineers, and materials scientists in this promising area. The book describes many kinds of encapsulated catalysts and their applications in chemistry, including organic, inorganic, hybrid, and biological systems. Unlike other works, which discuss traditional supports, this useful resource uniquely focuses on extremely important topics, such as the encapsulation effects on reactivity and selectivity, the difficulty of their separation from reaction mixture, and/or their sensitivity to reaction conditions, and the limit of their industrial applications. In addition, the book covers the immobilization of homogenous catalysts on inorganic or organic supports and how it enables the separation of homogenous catalysts, as well as the protection or reuse of catalysts.